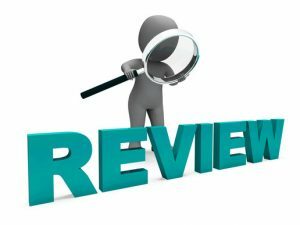 This life insurance company review aims at helping life insurance seekers to answer all their questions about Kemper Life Insurance. With so many top rated best life insurance companies to choose from, including no exam life insurance companies, it can be difficult to know which way to go. Give us a call today for a free life insurance consultation. Kemper Corporation is a large company that has around $8 billion in assets. They don’t just offer life insurance; they also offer auto, health, and home insurance. In total, Kemper Corporation currently has more than 6 million active policies. Kemper currently makes our top 10 best cash value whole life insurance companies list since it one of the only whole life companies available for ages 40-80 (40-75 in Missiouri; not available in CA and NY). There are third party rating agencies that assess the financial health and future prospect of financial institutions such as insurance companies. The top ratings agency is A.M. Best Company. A.M. Best gave Kemper Corporation an A- (Excellent) rating. There are only a select number of insurance companies with an A- or higher rating, so the fact that Kemper Corporation received this rating says a lot about the quality of the company and its products. If you have any medical problems or things you think a life insurance company may find questionable, then you should go for a Kemper Senior Solutions life insurance policy that does not require you to answer health questions as a prerequisite for underwriting. Guaranteed Issue Whole Life insurance offered by Kemper is a great option! The no medical questions and no medical exam coverage is not a huge amount— this final expense insurance offers coverage between $2,000 and $25,000—but it will be a substantially helpful to your family in their greatest time of need. People who may be charged a lot by other life insurance companies—or even denied a policy—will find comfort in knowing that Kemper doesn’t discriminate against your ailments. That is because Kemper is going to underwrite your policy so long as you are age of 40 and above, making Kemper an excellent choice for anyone who may not qualify for other life insurance policies. When you purchase Guaranteed Issue Whole Life insurance it comes with a graded death benefit. Guaranteed acceptance insurance policies with a graded death benefit provide that in the first two years the policy only offers full coverage for accidental death. This is to prevent people who are literally on their deathbed from purchasing the policy only to get immediate payout for their family. After two years, however, your policy will fully cover all types of death. If you die of a non-accidental death within the first two years, your beneficiaries will still get 120% of the money you have paid into the policy. So don’t worry; in that event, your money won’t just go down the drain. Where is Kemper Insurance Available? Kemper Life Insurance is available throughout most of the United States. However, Kemper Life Insurance is not yet available in California or New York. In general, Kemper Corporation has a splendid reputation—and that includes its life insurance arm of the business. As a company, its leadership has solid values, and they stick to them. That’s why more than 6 million policyholders continue to trust Kemper with their life, health, auto, and home insurance needs. Overall, Kemper is a strong company with proven stability. Its track record of continued financial health reassures us that they will be around for a long time coming—and thus be able to deliver on its promise when it is time for your loved ones to receive payment. Honestly, if you need easy coverage without having to answer any medical-related questions, then Kemper is a great choice. However, if you qualify for life insurance medical exam coverage, Kemper might not be the right fit. How do I know which life insurance company is right for me? If you are currently comparing life insurance, then the best thing you can do is call TermLife2Go. We help policy seekers like you to find the right life insurance company and the right life insurance policy. We know the pros and cons of the top life insurance companies in the United States—including Kemper—and we use that information to find out which is best for you. We offer personalized recommendations based on your needs and situation. We have no vested interest in promoting Kemper Life Insurance over another life insurance company unless they are right for you. Want to know more about what dozens of different life insurance companies can offer you? Give us a call today or visit our Term Life Insurance Quotes page and see what we can do for you! Thank you for reading our Kemper Life Insurance Review. Please leave any questions or comments below. We’ll need some additional information in order to get you a quote for a whole life insurance policy. One of our agents will reach out or you can call us at 888-234-8376.